When Alfie Mandeville’s insomnia threatens to embarrass his wealthy family he is sent to Scarbrook House, a sanatorium for wealthy children. Troubled by the eerie atmosphere and skittish patient, Alfie’s condition gets worse, not better. He falls under the spell of the charismatic and cruel William Travers, who seems to delight in bullying the other patients. A mysterious sighting by the water tower in the woods stirs up turbulent memories of Alfie’s time in India. And as he lies awake one night, Alfie is haunted by visions of a strange creature moving through the darkness at the edge of the patients’ beds. Are his tired eyes hallucinating, or is starting to lose his mind? 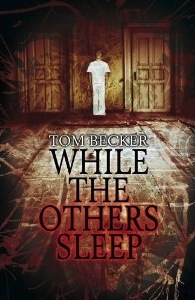 Categories: Horror, Thriller | Tags: Tom Becker | Permalink. 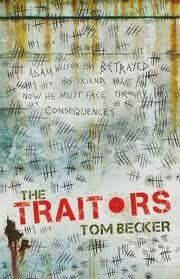 Adam Wilson is kidnapped and taken to the Dial after betraying his best friend. The Dial is a twilight world where teenage traitors are forced to atone for their treachery. It’s a terrible place, ruled over by a cruel despot, where every day is a struggle fo survival – and escape. Legend has it that only one person has fled the Colditz-like prison. Nobody knows if he made it back to the real world, but he left behind a ray of hope that has reached trough the years. Soon Adam is caught up in a deadly plan to escape. But who can he trust in a world full of traitors…? Categories: Crime, Dystopia, Thriller | Tags: Tom Becker | Permalink.